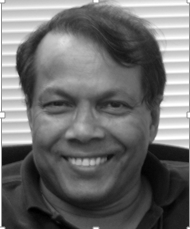 Welcome Dr.Mahendra Mallick from State University of New York, USA to be committee member! He is currently an independent Consultant. He is a Coeditor and a Coauthor of the book Integrated Tracking, Classification, and Sensor Management: Theory and Applications (Wiley/IEEE, 2012). His research interests include multisensor multitarget tracking, multiple hypothesis tracking, random finite set based multitarget tracking, space object tracking, distributed fusion, and nonlinear filtering. Dr. Mallick was the Associate Editor-in-Chief of the online journal of the International Society of Information Fusion (ISIF) in 2008–2009. He was a member of the board of directors of the ISIF in 2008–2010. He was the Lead Guest Editor of the special issue on multitarget tracking in the IEEE JOURNAL OF SELECTED TOPICS IN SIGNAL PROCESSING in June 2013. He is currently an Associate Editor for target tracking and multisensor systems of the IEEE Transactions on Aerospace and Electronic Systems.